With the interest for daily fantasy sports growing daily, we have decided to present you some more information about using Skrill or NETELLER for Fantasy Sports. Skrill and NETELLER are used more and more for Fantasy Sports. Using eWallets, players can transfer their money to and off the Fantasy Sports Sites fast and secure and use the Skrill MasterCard and NETELLER Net+ MasterCard to access their funds cheaply and conveniently wherever MasterCard is accepted. With our FREE eWallet-Optimizer Program you can profit along the way and make money while using Skrill or NETELLER. You earn rewards for using their Skrill and/or NETELLER account and for making transactions to Forex Brokers, poker-, sportsbetting-, Fantasy Sports- and casino-sites. The more you transfer, the more you earn. We are promoting eWallets like Skrill and NETELLER since 2010 already and always deliver the highest bonuses and best service. Please feel free to check our Facebook gallery for references and last years cashback transfers and ask around – your friends might benefit from our monthly eWallet Fantasy Sports Cashback already. At Skrill, you can earn a $15 signup bonus as well as a monthly Bonus for Skrill transfers of 0.3% for all your transactions to merchants like Fantasy Sports Sites. You can either join our Skrill Fantasy Sports Cashback Program as a new or existing Skrill customer. Please proceed by following our Skrill signup instructions. Most of our active Sports bettors prefer NETELLER, not just because of the much higher monthly Fantasy Sports Cashback, but also because of the faster support and easier account handling. 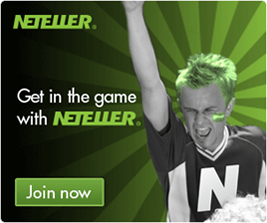 To join our NETELLER Fantasy Sports Cashback Program, please proceed by following our NETELLER signup instructions. Using Skrill and NETELLER is easy, convenient and free for deposits and withdrawals to Fantasy Sports Betting Sites. At most sites your registered email address with them must match the one of your Skrill or NETELLER account. You can still ask the Fantasy Sports Site’s support to get it changed afterwards, but it is much easier to keep this in mind when signing up with a new Fantasy Sports Site. Sometimes Fantasy Sports Sites require a certain turnover, or a certain amount of bets that have to be wagered before the funds can be withdrawn again. Please refer to the Terms&Conditions of the sites to find out if and which requirements are in place. Please check out the following table that shows which Fantasy Sports Sites offer Skrill and/or NETELLER as a payment method and the conditions for depositing and withdrawing. This list is not conclusive and no responsibility can be taken for the correctness of the details provided. The biggest Fantasy Sports sites are Draftkings and Fanduel, but both sites are restricted to US/Canadian citizens only and do not support Skrill/NETELLER transactions for now. Deposits as well as withdrawals are FREE at the following Fantasy Sports Sites. General conditions for Skrill and NETELLER are (almost) always the same. Deposited funds are instantly available for all Fantasy Sports Sites offering Skrill and/or NETELLER as payment option. 200% up to 500 USD/EUR/GPB. Only for UK, Ireland, Brazil, Canada. 200% up to 500 EUR. Most parts of this site are only available in German. 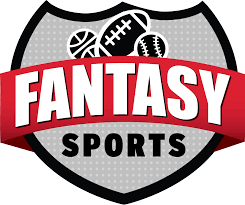 If you have any questions about Fantasy Sports Cashback you can earn with us, please do not hesitate to contact us .